The artist’s White Narcissus Panel series is an homage to the Greek myth of Narcissus, a man who met his untimely end because he could not pull himself away from his own reflection in a lake. In Hovnanian’s work, the narcissus flowers relate to this tension in that our contemporary beauty culture promotes a narcissistic mentality - we are always staring at our own reflections via social media. In this, the works also engage with the ephemeral nature of beauty. 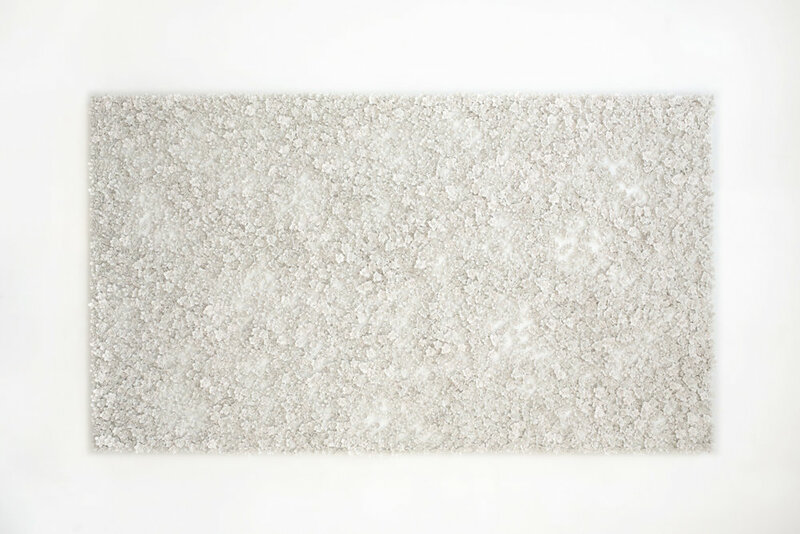 The tension present in the White Narcissus Panel series exists because the narcissus flower, an ephemeral piece of nature, has been captured as an imperishable object in its powder white coating. The pieces defy the progression of time towards the unnatural.